Guess what? Ya’ll ain’t ready! For what, you might be asking yourself at this juncture? For You Got Served 2, which is definitely coming sometime this year just as B2K get ready for their big comeback tour, which was announced in late 2018. You better go get a new NBA jersey, some fresh Air Force Ones, and wash all that sweat out of your old head band. Otherwise, you really won’t be ready for this. 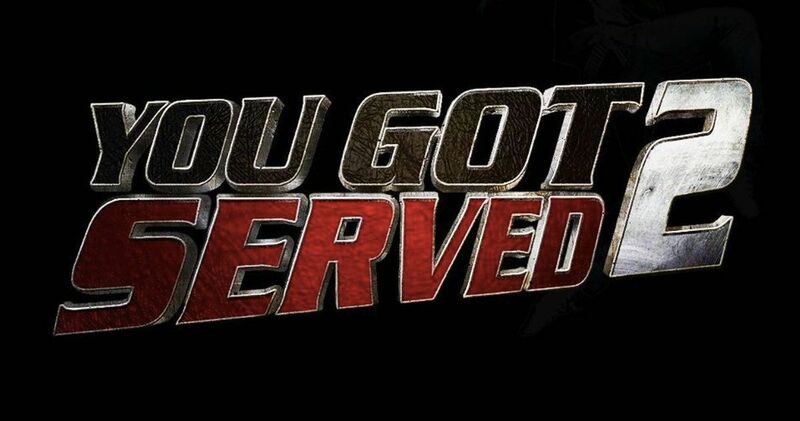 You Got Served 2 doesn’t show us much more than a logo in the first video, but you can definitely feel the exciting echoing off this quick glimpse at what’s to come in the very near future. The Boys of The New Millennium’s reunion tour is set for this summer, with some big marquee names including Pretty Ricky, Lloyd, and R&B Singer Mario. But B2K isn’t lazy enough to just launch an official come back tour, they need the movie to go along with it, and it’s sure to bring some crazy dance moves never before attempted or seen before on the big screen. This teaser, interestingly enough, arrives the same day that Screen Gems has announced a big screen adaptation of the popular video game franchise Just Dance. This morning we were devoid of new dance flicks. Now we got two major ones that could possibly be competing for your affections at the box office. B2K member J-Boog was the first to share the new You Got Served teaser with the world. Marques Houston was quick to share it as well. So far, it has not been announced who all will be returning for this sequel. We know J-Boog will be back. He previously launched an Instagram story showing himself on set. And why else would Marques Houston be sharing this on social media if he also wasn’t set to make his triumphant return? Megan Good, Marques Houston, Steve Harvey, Columbus Short, La La Anthony, and Omarion all appeared in the original. And it’s possible that they’ll all be back for this follow-up. No story details are being revealed at this time. And no release date has been announced by Screen Gems, who interestingly enough, are also behind Just Dance. In You Got Served, In order to achieve their dream of opening a recording studio, two friends (Omarion, Houston) must first win their city’s dance contest, a fierce competition that pits them against a group of tough street dancers. The original was released in 2004, and went onto gross over $50 million. The original was written and directed by Chris Stokes and went onto become a hip-hop classic in its own right.